The Peoples Democratic Party, Rivers State Chapter calls on Nigerian students to be wary of the Rivers State government's plan to engage them to protest against the President, Dr Goodluck Jonathan. The Party in a statement signed by Jerry Needam, Media Adviser to the State Chairman, Bro Felix Obuah says it is aware of a ploy by officials of the Rivers State government to induce students from Secondary and Tertiary institutions in the State on a demonstration to Government House, Port Harcourt, during which the students will be made to make comments condemning the style of leadership and policies of the Federal Government under President Jonathan. The Party says it has uncovered a process to effect disbursement of about N320m tax payers' money to take care of logistics for the planned protest. The State PDP also notes that already some supporters of Governor Amaechi have taken up the task of making inscriptions on placards which will be used by the students during the protest in Port Harcourt. While condemning this ploy by the State government to cause disaffection and acrimony between the students and the President, the party believes that such action goes further to expose the evil disposition and hard heartedness of the Governor and some of his allies. The Party also appeals to all parents and guardians to prevail on their children and wards to shun attempts by selfish and ill-motivated politicians to drag them into avoidable political crisis in Rivers State and the country. 'It is unwise and most regrettable for a responsible Nigerian student to allow himself or herself to be used in fighting dirty and ignorantly for politicians who themselves created the problem. The problem in the State was created by Governor Amaechi and co-travellers because of his (Amaechi's) 2015 political ambition, and it would be wrong for students to be hauled into it', the Party notes. The statement goes further to condemn Governor Amaechi's involvement in National Association of Nigerian Students' (NANS') Elections in Rivers State, describing it as undemocratic and ill-conceived. The Party also warns the Governor to concentrate on delivering on his campaign promises rather than devoting all his time, energy and Rivers resources on how to pull down the PDP and a man (President Jonathan) that is doing well. 'It is only someone that has failed woefully that behaves the way Governor Amaechi does. 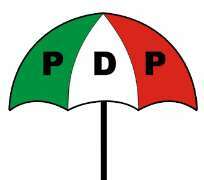 And we assure him that he will not succeed in his quest to destroy the party and its leadership', PDP emphasizes.